Color enhanced diamonds – This treatment is popular especially in small stones up to 0.15ct. The jewelry industry use the color enhanced diamonds a lot. The treated diamonds are much cheaper than natural fancy color diamonds and you can have a set of diamonds with the same color and measurements. The old system: Changing the color by a nuclear furnace. Disadvantageous: long “cooling” period after the treatment. Also, the high level of radiation makes it hard to control the colors. The new system: Changing the color by exposing the diamonds to an industrial accelerator. The accelerator shoots a sheaf of electrons that change the structure of the diamond that is used as a filter to the light beams. The use of industrial accelerator does not create a radioactive radiation. You can make the color darker by repeating the treatment, but it is impossible to lighten dark colors. Advantageous: no radioactive radiation. It is possible to control each phase in the process, the diamond can be used immediately. Disadvantageous: a higher price, differences of hues between the table to the culet. 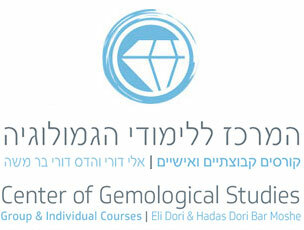 There is an accelerator in kibbutz Shaar-Hgolan, and the diamonds are shipped there once a week. You can make color enhance only in polished diamond. You cannot treat rough. It is obligatory to notify each stone that has been treated by the terms: Treated or enhanced. Spread an apoxi material on the diamond. The clarity of the diamond does not affect the color. Natural – used for the industry or for jewelry. Treated in a nuclear furnace. Treated in an electron accelerator. You can order a large amount of fancy colored diamonds in the same color and measurements. The market focuses in the black, canary, blue, cognac and green. The marketing system of jewelry demands attractive jewelry in low prices. The leading jewelry chains started to use color-enhanced diamonds. The price of a natural fancy color diamond is much more expansive than a treated fancy color diamond. A specific order for a specific color. Changing the image of a diamond. 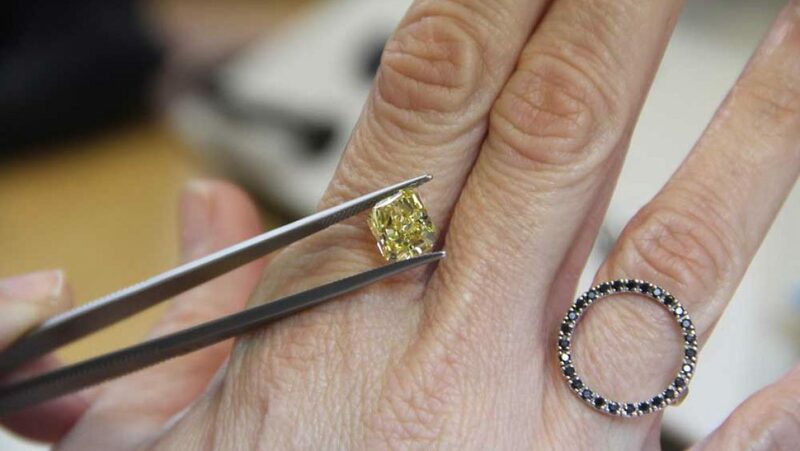 The treatment is not expensive – $35 per carat and does not take a lot of time.